Cosan Consulting was founded in 2013 to provide service optimisation solutions for the employee benefits industry. We work with our clients to design and implement programmes that enhance service delivery in a way that is cost effective and risk averse. We believe the most effective route to true service optimisation is in forging long term relationships, where we work to become a trusted partner of our clients. Our philosophy and roots come through in our name which in Gaelic means 'the path' or 'the way'. This reflects our business aspirations, culture and values, where we apply rational thought, deep analysis and direction to build a pathway for your employee benefit programme success. We are an energetic and growing team with strong experience and enthusiasm in what we do. Below is a little more on each of our team - we'd love to get to know you too. Ian began his career in the industry in 1987 with Noble Lowndes & Partners as a trainee pensions administrator. During his career, he has worked in front line delivery as well as client facing & commercial roles and so has a very practical, ‘hands on’ view of what contributes towards great client & customer service. More latterly, Ian was a Partner at Aon Hewitt and member of the European Leadership Team with specific responsibility for client relationship strategy and service / product innovation. He launched Cosan with Philip in early 2014, with the purpose of working directly with clients and using the collective knowledge & experience gained over many years to address their particular challenges. “It’s important to us that we get highly engaged with our clients and work shoulder to shoulder with them in delivering positive results. Our approach is practical rather than theoretical as we know clients appreciate this”. In his spare time, Ian is a keen sailor, competing in many events both in the UK and overseas. Philip has accumulated almost 30 years’ of experience in the pensions industry, having worked with some of the largest and most well-known Third Party Administrators focusing on the areas of new client on boarding, legacy systems migrations, systems strategy, operational model design and new product development. He is a firm believer in innovation and engagement with clients to ensure solutions are designed that meet client needs, and then effectively delivered through his years of programme management experience. As a founder of Cosan Consulting, Philip believes the outlook is particularly promising. “Our first three years have seen us working with some incredible clients across a huge array of different projects. What makes me most proud is how we have built a team that believes in doing things “ the Cosan way” and the difference that brings to our clients. Outside of work Philip is never happier than when in muddy boots enjoying the spectacular scenery of Yorkshire. John is a qualified actuary focusing on advice to Trustee Boards and Employers regarding the effective and efficient management of their employee benefit arrangements. He has deliberately decided not to hold a Scheme Actuary Certificate so that he can focus more on advising clients and not be distracted by the compliance requirements that go with the statutory role. He brings his business knowledge and experience along with his strong technical knowledge of the pensions environment to help clients design and manage their arrangements in the interests of their business and their employees. John prides himself on clear explanation of complex issues and on creating pragmatic solutions to the problems that our clients face. All of John’s clients can call upon his experience in a number of key projects both as a manager and as a Consultant. Away from the office John has three adult children and enjoys most sports from the comfort of his armchair. He also has an interest in Silent Comedies. Emma is an experienced Project Manager and Business Analyst who has gained her CIPD, Prince 2 and BCS qualifications. Working with clients on large organizational change projects, Emma has spent the last 10 years in the pensions space. She has supported a number of TPAs and in-house pensions administration teams in designing and implementing changes to their operating model, improving end to end processing and reducing risk within the operations. She is a firm believer in effective communications between all parties and Emma’s enthusiasm and attention to detail means she is a great fit with Cosan’s approach to working with clients. Emma says “It was really important to me to work with people that really want to make a difference, that don’t just consult but roll up their sleeves and get involved in successful delivery”. Outside of work Emma leads a rural life, enjoying the peace and quiet on her farm in rural Carmarthenshire. Russ has over 18 years industry experience working with large EBC firms as well as with In-House pensions & benefits teams. He has broad experience across technical consulting, governance & secretarial services, project management and scheme closure. Russ is Prince2 qualified and is a conscientious and dedicated team player with a keen focus on good scheme governance and first class administration delivery which he feels is key to the best possible member outcomes. Prior to joining Cosan Russ held an in-house role with Wincanton plc gaining invaluable experience from both a corporate and trustee board level. Previously Russ worked as a Consultant for both Jardine Lloyd Thompson and Aon Hewitt carrying out a number trustee secretarial roles, managing schemes through the wind-up process, PPF Assessment work and communications. Outside of work Russ is a keen football fan and enjoys the many pursuits of entertaining his two young sons. Marekha graduated from the University of Strathclyde in 2005 with a BSc(Hon) in Mathematics, Statistics and Finance and is currently working in a Business Analyst role within Cosan. She moved roles from Pensions Administrator to Business Analyst in 2012 as she developed a keen interest in process improvement. Her experience covers a wide range of projects including DC processing, requirements gathering, process re-engineering, scheme auditing, offshoring. With her background as a DC pensions administrator, Marekha can easily relate to scheme administrators, procedures and operational setups. She finds that this connection is a good bridge in the understanding and management of projects. Marekha is hardworking, conscientious and takes pride in her work with Cosan and clients. She has excellent organisational skills with a good eye for detail. Away from the office Marekha enjoys living in the countryside, reading, crafts, the odd gaming session and when she gets the chance to, travelling and events. 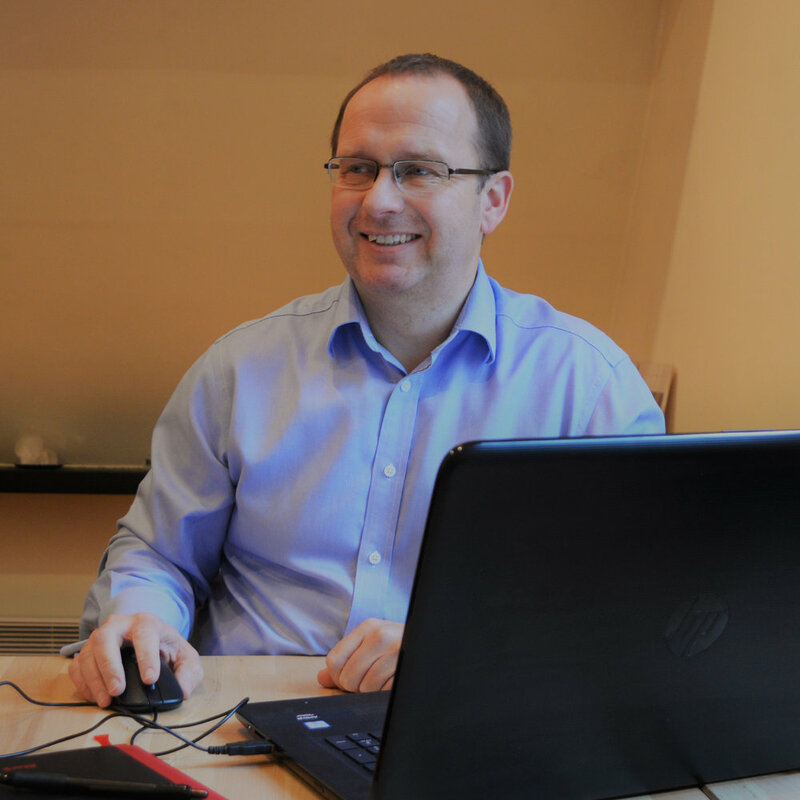 Mark has worked in for variety of administration and software services organisations since starting his career in pensions in 1986. With a focus on complex administration solutions, his positions have spanned operational delivery, client account management and business development. In his previous role Mark worked with Equiniti, helping them to successfully re-engage with the third-party administration and software markets. Prior to this he held senior positions at PwC, Capita and Aon. Client focused, Mark is dedicated to the provision of high service standards. Comfortable operating at both corporate and trustee board level - participating in executive decision making to deliver positive results through improved member experience, innovation and development, plus gaining added value where appropriate through cost control and revenue growth. Mark is chipping away at an OU degree in late-modern European history, so can be found at various continental historic battlegrounds and cities during his spare time. Helen began her pensions career in 1994, working her way up to Senior Operations Manager. Along the way, Helen has worked in India and South Africa as an Operations Manager before returning to the UK as a Business Analyst specialising in Public Sector Administration and became subject matter expert for the development of an in house pensions administration platform. Helen has gained her BCS Diploma and is a certified AgilePM Practitioner.